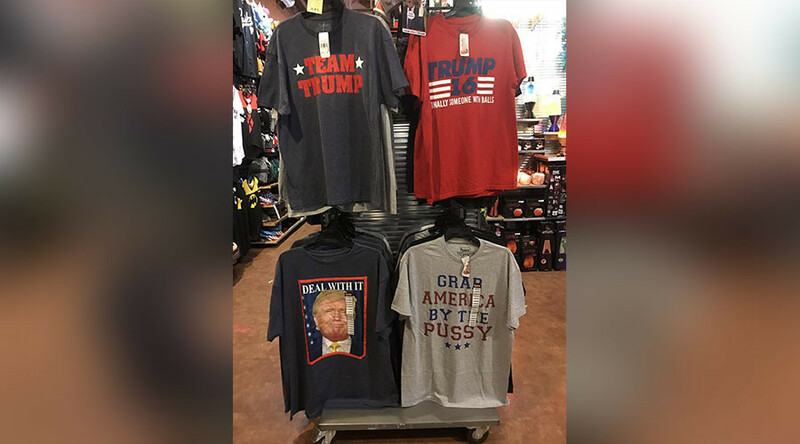 T-shirts blaring “Grab America By The P***y” in support of President-elect Donald Trump have sold out online sparking a huge backlash on social media as well a planned protest at an Oregon store selling the garment. The shirt came to prominence after it was shared on Facebook and Twitter by Oregon native Mary Numair saying: “In case anyone still needed a reason to never walk into a Spencer's again, this is proudly being displayed in the front of their PDX store. Way to normalize sexual assault." Numair spotted the garment in Portland’s Lloyd Center shopping mall. “This is smack dab in the front of the store. It's in the middle of the entrance. We were walking by and it was hard to miss,” she said. "Share this," she added. "Share it loud. This is not okay." 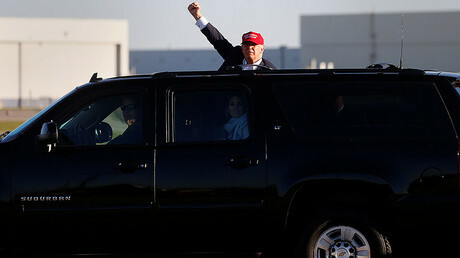 "Grab America by the p***y" refers to the infamous Donald Trump quote from 2005 that surfaced during the presidential campaign. Trump later apologized for the remarks calling them "locker room talk." "The shirt was never meant to promote any type of abuse or attack on any person," Spencer's vice-president Kevin Mahoney told Oregon Live. Oregon Live reported that the shirts have been removed from the store in the Lloyd Center, however, protesters are planning a demonstration outside the shop Monday evening.